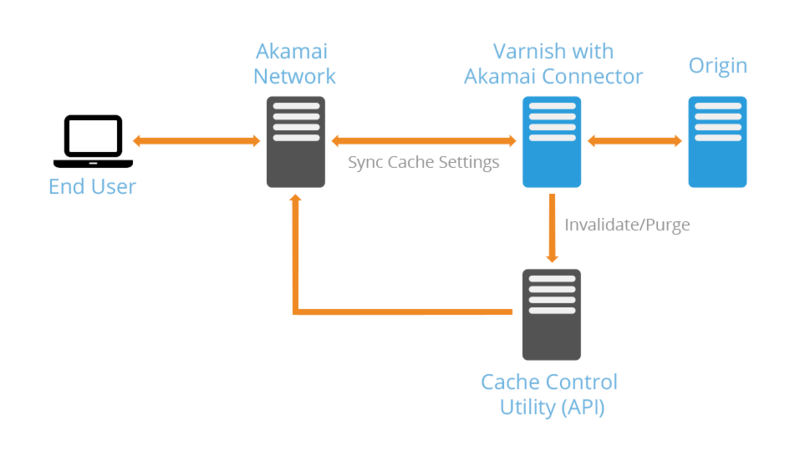 With the Akamai Connector for Varnish, DevOps can improve their Akamai-Varnish integration and seamlessly sync the two for enhanced day-to-day productivity. What is the Akamai Connector for Varnish? The Akamai Connector for Varnish has been finely tuned to integrate tightly with the Akamai Intelligent Platform to help Varnish administrators realize an easy way to use the two complementary technologies for maximum benefit. The Connector serves as a “bridge” between your local environment and the Akamai platform and allows you to integrate data and configuration between an origin Varnish server and the Akamai CDN network. How it works The Akamai Connector for Varnish uses the Varnish VMOD extensible framework to add Akamai-specific functionality to instances of Varnish deployed within your infrastructure. It synchronizes your origin and Akamai settings, ensuring that Akamai best practices are implemented consistently and correctly. How to get started There are 2 ways to install the Connector: • Via package for Varnish Software Enterprise Solutions with Varnish Enterprise 4.1. • Via source for open source Varnish for Varnish Cache 4.1 and 5.1. Pricing Please contact us at sales@varnish-software.com for more information on pricing. We apply special discounts for start-ups and SMB companies and universities. All licenses require that you are currently an Akamai customer. If you are already both a Varnish Enterprise and Akamai customer, reach out to your Varnish Account Manager to get access to the Akamai Connector. The Akamai Connector for Varnish lets you control Akamai features and functionality from within the Varnish Configuration Language (VCL), which boosts your day-to-day productivity and efficiency. The Akamai Connector for Varnish offers a number of time-saving, efficiency-enhancing benefits that simplify daily operations. Simplifies your work, eliminating duplicative efforts, i.e. by only having to establish cache TTLs and purges once (whereas today, they are set at origin with Varnish and then again on Akamai via API or a portal configuration). Who is the Akamai Connector for Varnish for? The Akamai Connector for Varnish is designed for Akamai users who are also Varnish users and want to use Varnish technology as a control interface for certain aspects of Akamai. Blog post: From the Varnish Lab: Akamai connector for Varnish.